Terry Cole-Whittaker is considered to be one of the premier inspirational and spiritual teachers and empowerment speakers in the world. Ten Women of Power, a best-selling book by Laurel King, lists Dr. Cole-Whittaker as one of the 10 most powerful and inspirational women in the world. The San Diego Press Club honored her as Woman of the Year, plus two times as Headliner of the Year. Her 80’s Emmy winning, International Television ministry “With Love, Rev. Terry” aired through 400 stations, reached millions and inspired many persons to pursue a life of service, life-coaching, spiritual teaching, and healing. She was Mrs. California and third runner-up in the Mrs. America Pageant in 1968. She toured the United States and Canada on a television, radio, and print media public relations tour, as the spokesperson as Mrs. Pancake of America for Quaker Oats, one of the largest corporations in the world. Dr. Terry Cole-Whittaker’s unique experiences and accomplishments as a spiritual researcher, minister, best-selling author, television and radio minister and producer, counselor to the “Stars,” and international inspirational leader offers spiritual seekers, entrepreneurs, and her knowledge, experience and expertise. She took a 50 member church in San Diego and brought it to an 8,000 member church with 5,000 on Easter Sundays, an international network television ministry reaching millions in 400 markets in the USA, Canada, Mexico, Puerto Rico and Guam. She and her staff, volunteers, and contributors created a volunteer system of 600 volunteers; six teaching centers in California with weekly classes on Video; a children’s school K-6; youth group; animal ministry; practitioner program; published a monthly magazine, The Open Door; 24 hour prayer ministry; Winner’s Circle Breakfast Club serving the greater San Diego business community and another five in California; practitioner, facilitator, and ministerial training; regular classes with 800 in attendance; a thriving book store; Singles Club of over 1,500 members; plus community outreach. Rev. Dr. Terry has remained the single most influential spiritual trailblazer of her time, as her television ministry outreach and books made Metaphysical teachings part of mainstream America. Her pioneering work opened the door for a plethora of motivational speakers, best-selling authors, ministers, and leaders to come forth and succeed. Those who have been touched and inspired by Dr. Terry’s lectures, seminars, television and radio programs, and books reads like a Who's Who of Leaders in business, inspiration, and arts, including, Mark Victor Hansen (Author of Chicken Soup of the Soul), Marianne Williamson, Anthony Robbins, and Neale Donald Walsch. In 1995 she was admitted to the Orange Coast College Hall of Fame, as one of their top students and one of the most prominent alumni in the fifty-year history of the College. Her six Best-Selling books highlight the body of her work. What You Think of Me is None of My Business, a classic pioneering book on codependency and personal power; Number One on the New York Times Best seller list How To Have More in a Have Not World; The Inner Path From Where You are To Where You Want To Be; Love and Power in a World Without Limits; Dare to Be Great and her newest, Live Your Bliss. King World produced an infomercial for her course 21 Days to Personal Riches. She has been interviewed and featured for her work in the most important magazines, newspapers, and television and radio programs in the world including: Oprah, Larry King Live, CNN, Good Morning America, Donahue, Sally Jessie Rafael, Tom Synder, Regis Philbin, Michael Jackson, People Magazine, US Magazine, Time Magazine, Newsweek, The Wall Street Journal, New York Times, Los Angeles Times, & London Times, which all chronicled her breakthrough motivational, inspirational and leadership technologies and her empowering upbeat “You can do it” philosophy. In 1973 she graduated from the Ernest Holmes School of Religion in Los Angeles, CA and received her license as a fellow and minister of Religious Science. After serving for two years as an assistant minister in La Crescenta, CA in 1975 she was ordained. Terry received her secular education at Orange Coast College where she was homecoming queen and freshman class president, the University of Southern California, Pasadena City College, and La Verne College. Dr. Cole-Whittaker is a devoted spiritual researcher especially the English translations of the Puranic teachings as the crème of Vedic knowledge. She is self-educated given that what she was seeking to learn about was not taught in any private or government educational system. Her studies include; Metaphysics; the New Testament of the Bible; Eastern Mysticism; Gnosticism, singing, spiritual psychology, career and life’s work fulfillment and success, win/win business practices; Native American spiritual practices; health and nutrition; gardening, and many subjects all pertaining to living in harmony with one’s self and nature. She was awarded an Honorary Doctorate of Humane Letters in 2009 from the Holmes Institute of the Centers for Spiritual Living, previously known as the United Church of Religious Science. In 1985 Dr. Terry left San Diego to continue her spiritual quest and moved to Washington State where she built a retreat center with an amazing organic garden and conducted retreats. She traveled with her students to holy sites around the world including Egypt; Glastonbury and Stonehenge, UK; Peru and Machu Picchu; Jerusalem; Nepal; and India. Having found what she had been seeking spiritually, Dr. ColeWhittaker took initiation from Vedic and Puranic scholar Sri Haridas Sastriji Maharaj Babaji in Vrindavan, UP, India in 1999 in order to study the Puranas and Vedic-Vaisnava culture. Adventures in Enlightenment, formed a Trust in India in 1999 for the purpose of sharing Vedic knowledge with the Western world and to give aid to the poor. 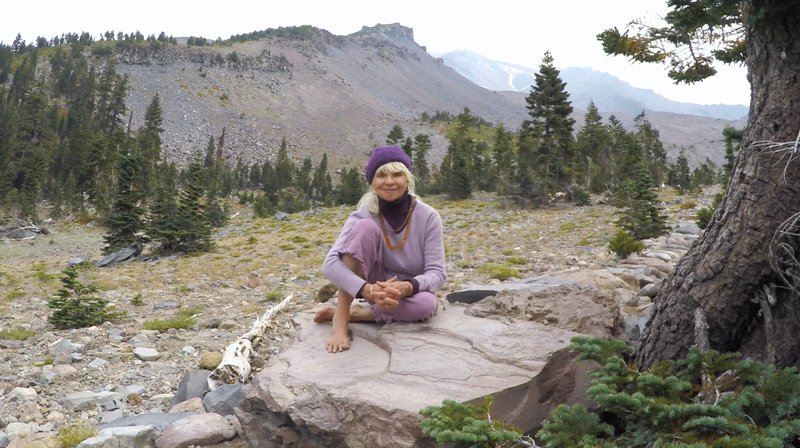 Dr. Cole-Whittaker resides at Mount Shasta, CA to be close to nature. She continues to teach, share the Wisdom of the Ages, and empower her students to discover and prosper from doing their life’s work, trust themselves, and attain God-realization and actualization. She is working on new books, new internet services, and offers retreats, counseling, ministerial training and ordination, certification for Empowerment Facilitator, Spiritual Counseling, and the authorization to teach from her books. Her work is unique in that the wide spectrum of her studies and accomplishments offers her students the knowledge and support for attaining their goals, purpose and mission whether that be spiritually, materially, or both. “All is possible” is her motto. "Terry Cole-Whittaker’s wisdom and her gentle, joyful guidance changed my life — and they can change yours as well, right from the pages of this book." 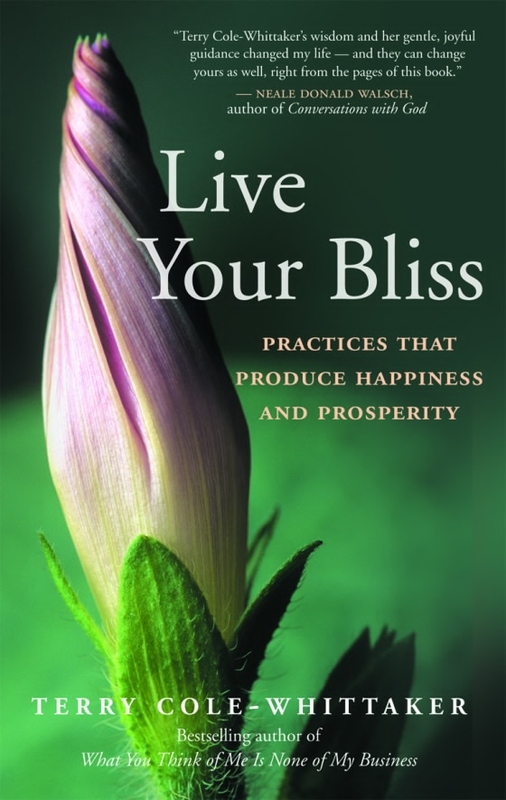 "Live Your Bliss delivers profound truths in a very accessible manner. It’s high time that more attention be focused on bliss, which Terry rightly describes as the intrinsic nature of every soul. Terry is a wise woman who has written the most important book of her life." "Terry is a master of manifestation....If there were just one book to pick up this year on manifesting your dreams, this is that book." "In this wonderful book, Terry Cole-Whittaker...takes us on a powerful journey of the heart in which we come to understand the role each of us plays in creating the life — and the world — we long to live in, the one perfectly designed to help us live in happiness, fulfillment, and bliss." Your donations are used to produce and offer Sacred Wisdom that liberates human beings from suffering and empowers and enriches each person to attain eternal happiness, love, and prosperity. With love, Dr. Terry Cole-Whittaker. Adventures in Enlightenment is a 501(c)(3) Nonprofit charitable organization; was founded by Dr. Terry Cole-Whittaker in 1986.